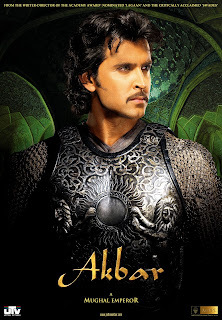 Each of us has studied Akbar as a great king in our history textbooks. But that was all in the textbooks, and in some boring history classes. Today with the release of the magnum opus ‘Jodhhaa Akbar’ we are taken back to our childhood days to retrospect our history learning. 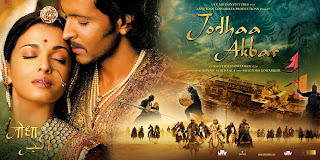 Jodhaa Akbar is a beautifully made period movie with an emphasis on fusion of two cultures, Islam and Hindu. The war scenes were great and realistic. 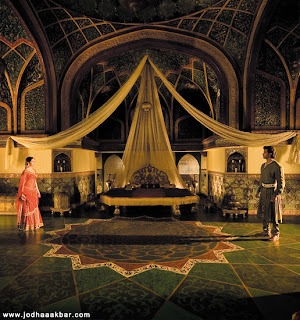 The royal Mughal and Rajput palaces, the costumes and attires were no doubt the most spectacular so far in Hindi film industry. There were some beautiful moments in the film. 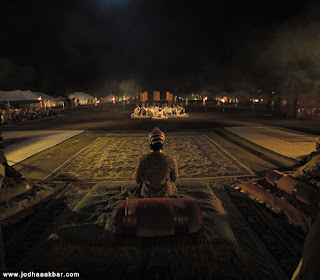 One was when Emperor Akbar emphasizing on religious tolerance and matrimonial alliances with the Hindus. He questions, why none of the Sultanate and Mughal Kings prior to his rule could not achieve a longer and stable rule in Hindustan, because they lacked the vision in fusion of Islam with Hinduism. 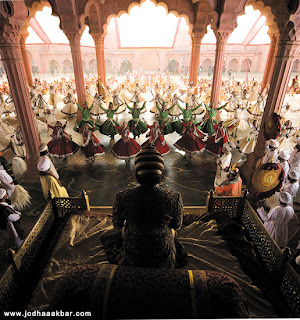 This transformation of the emperor moulded our history, which later produced certain brilliant synthesis of Hindu and Persian cultures, remarkably the Tajmahal, the Mughlai food, the Kathak dance and the miniature art. Another touchy moment was Akbar going through trance after the song Kwaja mere Kwaja sung by the Sufi singers in the praise of Ajmer Sharif. 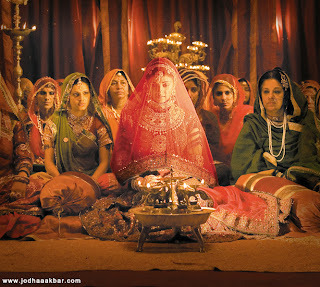 The most beautiful moment was yet while Akbar giving freedom to Jodhaa to break the marriage if she wished and how Jodhha reacted, saying that according to Hindu customs once married the relationship continues for seven lives. This was a true reflection of melting of cultures. The movie has certain un- researched elements. One such is the depiction of cauliflowers, potato and tomato while Jodhaa was cooking for her husband. These vegetables were very much unknown to India during Akbar’s time. The film was also made too lengthy with some unnecessary scenes. Overall, it is a movie worth watching and introspect the importance of fusion in our own life. The production of cultural meanings and social practices fosters the historical formation of national identities. Religion is one of the principal purveyors in this custom. Mass produced religious images in British India had a wider implication in the construction of Hindu nationality. Many of these images had explicitly anti-British political agendas. 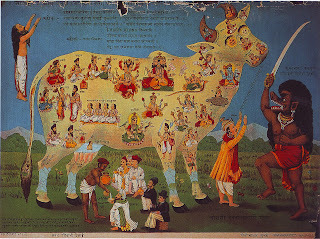 One of such images is a popular painting with theme 'Chaurasi Devata Auvali Gay (the cow with eighty four deities). The image was produced in Raja Ravi Varma Press in c.1912. Cow has been sacred to Hindus since the remote past. However, other religious communities like Muslims and Christians don't consider cow as sacred. Robinson writes: Hindus revere the cow, whereas Muslims eat it. Worse the latter are butchers by protection and sacrifice (qurbani) cows at the times of certain religious festivals, namely during Bakhr – Id which commemorates the sacrifice made by Abraham. Dayanand Saraswati, the founder of the Arya Samaj, had formed Gaurakshini Sabha (Cow protection association) in 1882 and published a book. The purpose was to rouse Hindu feeling against Christian and Muslims on account of killing of cows, and to present a monster petition to Government, begging that the practice might be prohibited. The cow, an enormously potent and sacred sign, was to emerge as a symbol of the nation and these visual symbols were to play a vital role in the organization as well as the ideology of the cow protection movement. In numerous lithographs, cow became a proto-nation, a space that embodied a Hindu cosmology. In most of these visuals the cow encompassed all the gods, but was also depicted as succoring all the diversity of India's communities. The political message that was spread through these images was to represent a Hindu identity and nationality that required protection from non-Hindus. The movement for cow protection corresponded to a mobilization which reflected a multiplicity of interests, both economic and political. It covered a diversity of urban ruler and rural actors, maharajas or minor government officials, large land owners or landless peasants, traditionalists, reformists or agitators for independence. Its development responded to the need for unity of a Hindu community, which its organizers found excessively fragmented. In the district of Azamgarh, in the 1890s, the organizers of a gathering of 600 persons had circulated the imposing image of a cow, the body of which contained (nearly) all the gods of Hinduism. Placing various ritual implements before this image, the sacrificer exhorted the participants to protect the cow. Everyone present received a little milk, but only after a calf had been satisfied. After the milk had been drunk, the cow was solemnly proclaimed 'universal mother'. It was declared that the killer of a cow was matricide. A new image reinforced this idea: it represented a cow flanked by a Muslim drawing a sword. The Ravi Varma painting shown here was visualized to convey these images. Hindus, a Parsee, a European and a Muslim are accepting milk from the milkman with the slogan 'drink milk and protect the cow'.